Apple is the recipient of lawsuits all the time, as are many big name companies with billions of dollars tied to their names. 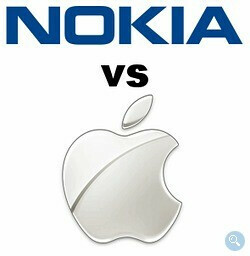 Apple has flipped the usual lawsuit script and is suing Nokia in the UK for 9 different cell phone technologies. The two companies have actually being going through these legal disputes for a fair amount of time now. The lawsuits are in regards to 9 US patents that are apparently already in suit between two companies in the states. Nokia spokesman Mark Durrant has made it known that Nokia is investigating the claims. It is unknown at this time what these 9 particular technologies are. 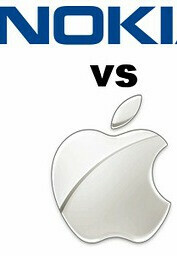 This lawsuit tug-o-war between these two corporate giants started last year when Nokia claimed that Apple freely used their technology and profited off of it. One thing is for sure, with the money in the bank that these companies possess, a lawsuit war really won’t hurt their production. So consumers need not worry, as this shouldn’t have any effect on us. Aren't these companies always suing about something? Nokia may have been stupid and/or slow to not go after touch UI's and application stores before Apple disrupted the playing field. But in terms of IP, it has plenty of prior art. This makes the situation in USA critical for Apple, where prior art holds weight. As for Europe, it's usually first to file. Maybe Apple is appearing offensive in this UK filing, but really playing a defensive hand to protect its iPhone business in USA. The UK filing seems nothing more than Apple attempting to increase its negotiating position; quite logical IMO. Standby for the counter filing from Nokia...it's inevitable in a multi-round negotiation like this.